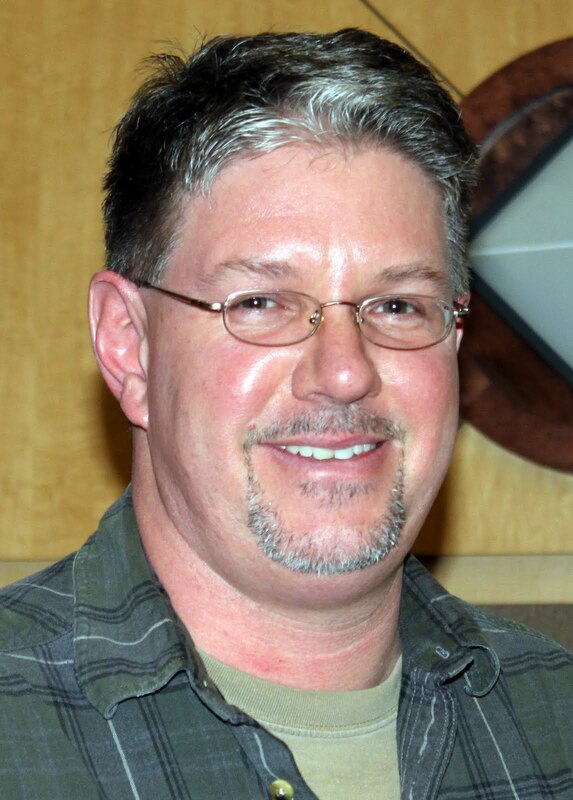 GRANTVILLE Pa. – A Pennsylvania horse trainer who for years worked for New Hampshire thoroughbred owner Michael Gill was charged Wednesday with trying to rig races at Penn National Race Course by injecting horses with performance-enhancing drugs. Pennsylvania State police charged Darryl Delahoussaye, 47, of Harrisburg, with rigging a publicly exhibited contest, administering drugs to race horses, tampering with evidence and theft. He also was charged with reselling three injured horses after promising they would be retired to a petting zoo, but at least one of those horses subsequently raced three times in Massachusetts, according to the grand jury report issued Friday. Pennsylvania State police said Delahoussaye had two employees remove evidence from a barn at Penn National in an attempt to foil investigators. Dela houssaye was released on $20,000 bond. A district court official said he did not have a lawyer on file, and a listed phone number for him could not be located. A horse-owner Delahoussaye had been working for, Michael Gill of Windham, N.H., was barred from Penn National in February after a series of horse breakdowns and a boycott by jockeys fearful for their safety. Gill, who last year won 370 races and earned $6.7 million, is out of the horse racing business. When contacted Wednesday by the Associated Press, Gill said that if the accusations against Delahoussaye are true, none of it was done at his request. Gill, who has not been charged, said he is not under investigation and has done nothing illegal. However, Gill is no stranger to controversy. In 1995 Gill was suspended from racing at Rockingham Park after the drug Clenbuterol was found in a urine sample taken from one of Gill's horses, Sunshine Ivory, and after 'a bottle of the drug was found in his stable area. 'At that time, Gill claimed the drug belonged to another trainer with whom he shared a stable. 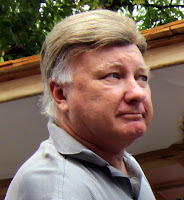 In 2003 Gill filed several lawsuits against Delaware Race Park for barring him from racing there, he claimed, a conspiracy against him based on his unprecedented success. In a separate suit Gill filed against the Gulfstream Park Racing Association in Florida at the same time, Gill alleged the management team gave false information about him to Sports Illustrated for an article focusing on Gill's unparalleled success on the track. That article, “Nagging Questions,” detailed how one of Gill's horses broke a leg in a Gulfstream Park race and was euthanized. Gill's veterinarian removed the horse's leg to examine the injury. The track subsequently had the leg seized and sent it for drug testing. Gill's lawsuit alleged a Gulfstream official knew the test for prohibited drugs was negative but misled the Sports Illustrated writer by not telling him. In a 2003 interview with the New Hampshire Union Leader, Gill said he was not cheating, and that if any horse of his ever tested positive for a prohibited drug, he would quit racing and sell all his horses. 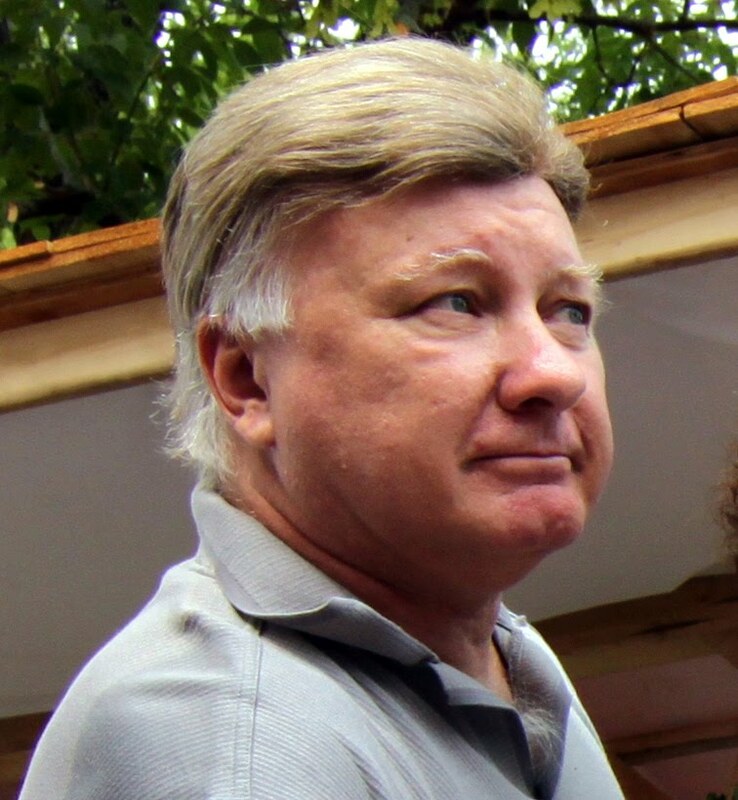 In 2005, as president of The Mortgage Specialists with several offices in New Hampshire and Massachusetts, Gill agreed to pay $425,000 and submit to an independent review, under a settlement announced by state banking regulators after the New Hampshire Banking Department issued a cease-and-desist order in July of 2005 against the mortgage company. The order cited Gill and other key employees for being in violations of state law and regulations, including fraudulent loans and altered documents. Gill told the Union Leader following that action by the state that he accepted responsibility for "screwing up" paperwork but denied any fraud was ever involved in any of the 100,000 loans processed in 18 years of business. Union Leader Correspondent Carol Robidoux contributed to this report. DERRY – Gina Hutchinson watches her twirlers run through their road show routine. Her face is blank, but the wheels are turning. Her eyes follow every move as the 10 girls take turns spinning on toes, flinging silver batons overhead and catching them effortlessly, in most cases, as they complete a segment of the choreography. They stand, batons at their sides, waiting for the verdict. “OK. Do it again. Do it again until you get a no-drop. You won't get a costume on your back until you have a no-drop,” says Hutchinson, matter of fact, peering over the top of her eyeglasses as she leans over the boom box to reset the musical cue. Halfway through, Hutchinson stops the music. “Do you not get the beat? It's so identifiable. Da-DA-da-da-da-DA-da KICK,” says Hutchinson, who starts the music again. Her Red Stars take it in stride, and then some. They feel the urgency, too. Only a week before Shanghai. Only one week to polish their ambitious star-spangled routine. It's as much about performance anxiety as it is about representing the Red Stars, thereby representing Derry -- and New Hampshire, and the United States of America – showing the People's Republic of China the dazzling skills that have put these twirlers on the world map. Hutchinson, a retired school teacher, has been at the helm for decades. She's a stickler for getting it right, a perfectionist when it comes to foot position, spin rotations, eye contact, just the right wattage of a winning smile. In fact, each girl who signed on for the 10-day trip to perform at the Shanghai World Expo Music Festival was required to write a report. It was due yesterday. “They're all right here,” she says, thumbing through a pile of work, worthy of an honors English class. “All but one. One of my girls didn't finish, so she spent today out in the hall working on it, and she can't come to rehearsal tonight – or tomorrow, or Thursday – until it's done,” said Hutchinson. Why, you might be moved to ask, does a baton twirling coach require her troupe of baton twirlers to spend part of their summer vacation researching China and then laboring over a lengthy report. Another reason for the reports is to give everyone something to do on the 16-hour flight to China – the girls and the chaperones will swap reports. “We will all know so much by the time we land, and every report is based on places we're going while we're there,” Hutchinson said. This week the girls will also get a crash course in basic Chinese phrases. They will each pack gifts to present to their hosts, including locally made maple syrup and candy, some Old Man of the Mountain keepsake coins, and several travel brochures. Kaleigh McIver, 17, is looking forward to touring Tiananmen Square. “We studied the Tiananmen massacre in school, and I'd like to see where it all happened,” said McIver. Ashley Andrew has been twirling 16 of her 19 years. She's looking forward to the Shanghai Bund, a popular tourist site that features various types of architecture, a blend of the old and the new. Kathryn Carlson, 16, is looking forward to seeing China's Great Wall, one of the sites where the twirlers will be performing. She is not looking forward to flying across a large body of water to get there. “I'm kind of nervous about flying across the ocean,” she says. Not to worry, says Hutchinson, shifting into teacher mode. “We will be flying what they call the 'great circle' route, we will go up to Greenland first, so we won't be flying directly across the ocean,” Hutchinson said. It's final fitting day for costumes, made especially for the girls by team seamstress Lucinda Borrone, of Chester. There is a brief debate over whether Allie's jacket is long enough at the waist. “Let's leave it as it is, until after China. She'll be 10 inches taller in no time. She grows like a weed, this one,” Hutchinson said. Then she gathers the girls together in their sequin-and-silk spangled outfits, asking three of the girls to spin and twirl. “I just want to see how it looks,” Hutchinson said. So the three girls stand, fix their eyes on the back wall, smiles set at maximum wattage as they toss their batons and spin three times fast, before catching the twirl-sticks, on cue. DERRY – It takes a village to hire a town administrator. Last week three different interview panels – citizens, managers and employees – took turns questioning the top six applicants, culled from an original pool of more than 120 resumes. Due to scheduling conflicts two councilors, Janet Fairbanks and Kevin Coyle, sat in with the management group. By Friday, the four top-scoring candidates got to sit down with the five remaining councilors who identified their top two candidates. This week, each councilors will spend quality time with each candidate in individual one-on-one interviews. Although the names of the candidates have yet to be publicly released, the seven councilors were able to speak generally about the process so far and their impressions of the top candidates, and what they're looking for in a new Town Administrator. Brad Benson: “This has been one of the best processes ever. It was organized well and the applicant pool was extremely strong,” Benson said. “I'm looking for someone who can go out and engage the community. Someone who can deal more directly with people on the state level and within the business community. It's important we find someone with vision and drive, someone ready to take on Derry and move us forward.” Benson said. 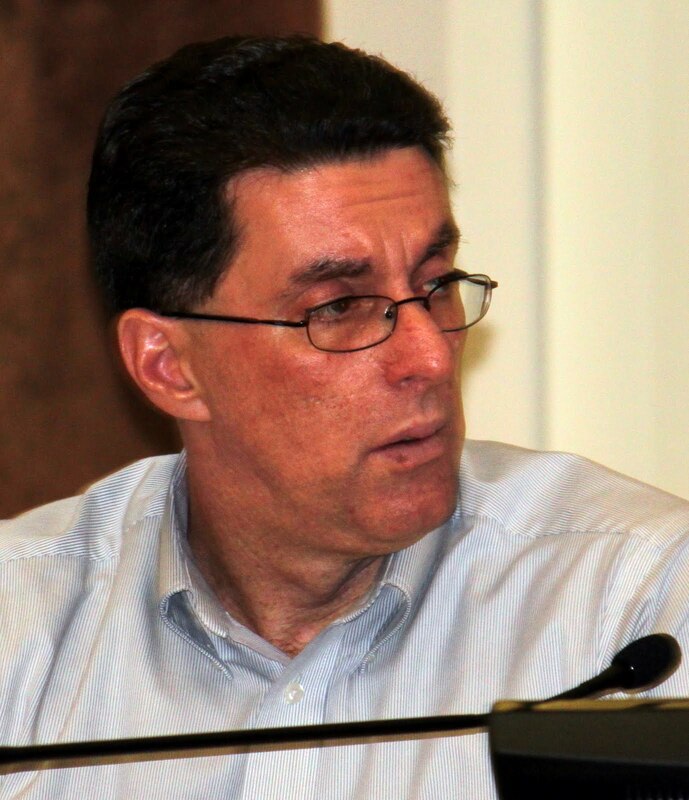 Brian Chirichiello: “I've been around for two other interview processes in my seven years as a councilor, and I do see a difference in this process,” Chirichiello said. He said it's important to pick an administrator who will stick around and provide some consistency. “It's important that we get it absolutely right,” Chirichiello said. Kevin Coyle: “I'm looking for someone to be a leader, not a caretaker, someone who is going to get things done,.” Coyle said. He said although he's leaning toward one of the two finalists at this point, he is keeping an open mind. Janet Fairbanks: “Everyone we interviewed was qualified. What I was looking for is someone to drive us forward, whether it's in economic development or community relations. I was looking for someone who was energized, someone who had done their homework about Derry's deep political background – politics here has been a bloodbath for more years than I care to remember,” Fairbanks said. “Whoever we choose, I will be fine with it. I think we have to get our tax rate down; that's our big thing. If we don't, we can't compete with other towns. We also need to market the positives about Derry, because we do have a higher tax rate. We have to show what makes us special. 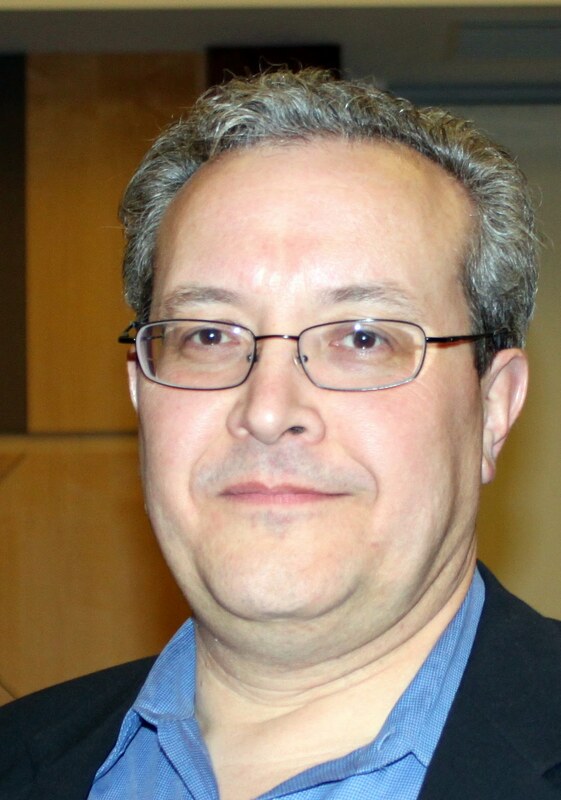 I want to know how the new administrator will steer business here,” Fairbanks said. “I think we all want to see someone who would stay on – heck with four or five years; how about the next 10? Having a revolving-door of administrators has not helped us,” Milz said. “I pretty much have an idea of who my top candidate is already – these top two are two sides of the same coin, each one bringing different strengths – the top two are so strong,” said Milz. Joel Olbricht: “I'm looking forward to the individual interviews. It will be good to get them out of a room of eight people and get to know them without the pressure of a group,” Olbricht said. “My feeling is we have to go with someone who has a lot of experience. Derry is a town with a lot of needs – we're the fourth-largest municipality, so we need someone who's seen a bit of everything. We need someone outgoing enough to meet people and not be afraid of crowds, a positive person who will leave a positive impression,” Olbricht said. Neil Wetherbee: “The experience factor is important. On one hand you see a guy with a lot of experience and that could be good, except someone else might see them as a retread, and not someone likely to look for new opportunities or be innovative. It's tricky,” Wetherbee said. “What we found out in this whole process is that, despite our reputation, we're not all that unique here in Derry. 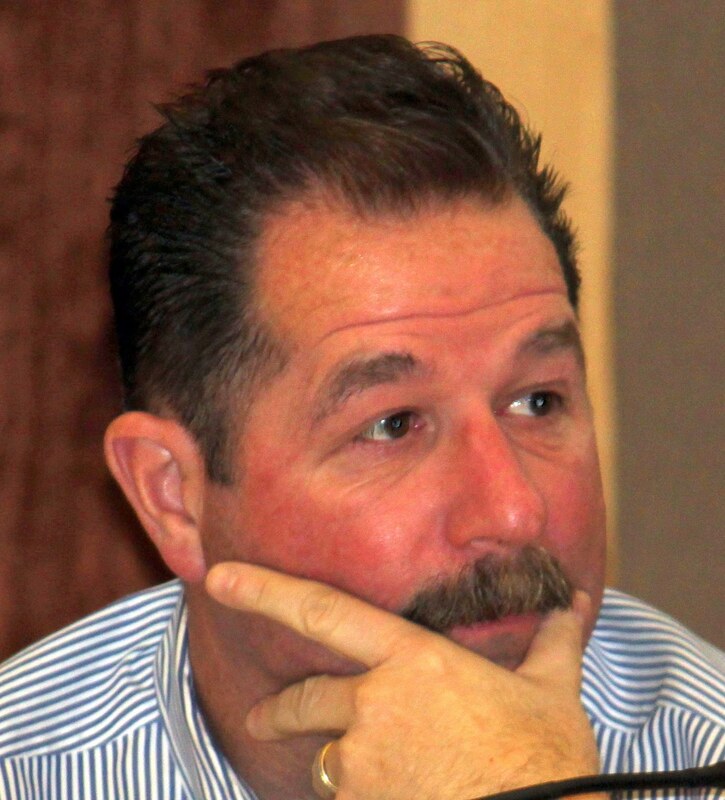 Our problems aren't unlike the problems other towns face,” Wetherbee said. He predicts there will be a special meeting sometime in August to make it official. “I have to admit that I'm hopeful we could come out with a 7-0 vote – I didn't feel that way going into the process, but that's how well this process is going,” Wetherbee said. Recycling Director Joanie Cornetta has a passion for trash. DERRY – In a down economy, municipal budgets suffer, too. So when the town asked its department heads to find more streams of revenue two years ago, Joanie Cornetta knew what to do. She convinced Public Works Director Mike Fowler that working out a way to allow Hampstead residents to bring their bulky recyclables to Derry's transfer station would be a win-win situation for all. That deal, a pilot program officially launched this week, might only mean $5,000 annually in additional revenue based on the town's modest dumping fees. But the real gold mine, says Cornetta, is in the cash value of trash-related commodities – copper wire from stripped down power cords, scrap metal wrestled from appliances, mass quantities of cardboard and newspaper sold to the highest bidder, all “free money,” as Cornetta calls it. As long as the addition of Hampstead customers doesn't interfere with the ebb and flow of Derry residents to the transfer station, Cornetta will continue to reach for the next rung on the ladder of recycling success. “I'd love to regionalize. That's me; I have to keep going for a goal,” says Cornetta, who is also looking to beat last year's recycling quota – she recycled 37 percent of all trash that came into the dump, which more than paid for itself. 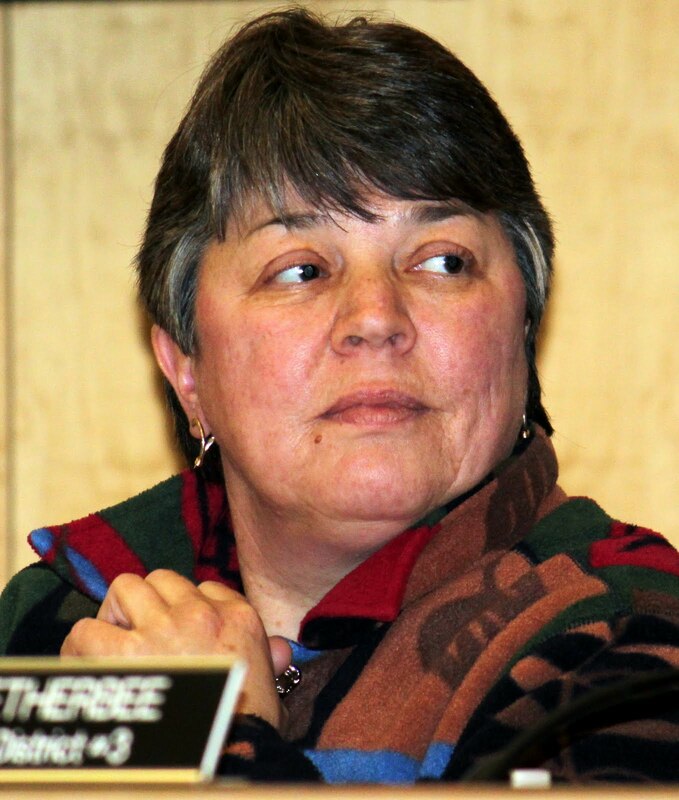 She earned $447,471 in revenue for the town from selling cardboard, newspaper, scrap metal and construction debris, exceeding budget projections by about $150,000. Could be that towns without a Joanie Cornetta leading the charge can't figure out how to maximize on profits from recycling commodities. In general, the national economic downturn affected recycling revenues on a national scale, according to the Institute of Scrap Recycling Industries, a Washington, D.C.-based trade organization. In 2009 the recycling industry as a whole lost $30 million in revenues, as the value of recyclables – paper, cardboard, copper, iron – plunged. Cornetta said with five full timers and two part timers – one that works 28 hours and one, at the entrance, who works 20 hours – she is also short on hired hands. Her overarching vision includes a million-dollar state of the art recycling center – she already knows where it will be located, just beyond the view from her office window. It would streamline the recycling process, provide enough space to store recyclable material, allow Derry to perhaps extend recycling contracts with other, smaller towns beyond Hampstead, providing even more revenue. Truly a matter of trash turned to treasure. Although it has been discussed at the last few budget sessions, and such an expense was included in the 2012 Capital Improvement Plan, it's not likely to happen anytime soon, not in this economy. Still, Cornetta would like to think that with the current push toward green practices, and various sources of government incentives for municipal “greening” available, the town might get behind her on this one, and find a way to make her recycling empire dream a reality. Speaking of reality, Cornetta returns to the here and now. She is policing the newly started compost pile after it recently created a figurative stink. To make a point, she hops in her Honda Ridgeline truck and drives over to the composting heap. “This yard waste costs us nothing. Residents can dump it here for free, and pick up compost to use, also free. But we ended up with a bad batch – people were dumping all kinds of things in there with the leaf and lawn clippings. Flower pots, plastic bags. We even had the rear end of a car hidden in there by someone. By the time it all got chipped up, it was ruined. I felt bad, we had a farmer who came and got some and spread it on his field, which of course was terrible for him,” Cornetta says. At that point, she was left with a big pile of useless compost. She couldn't give it away. So she paid someone to get rid of it. What's left right now is the beginning of a new compost pile. Already, Cornetta is frustrated by what she sees sticking out from what should be nothing but organic compostables. “Look, there's a bottle, and some branches. Look at all the plastic bags,” she says, reaching into the leafy, grassy mound for the black plastic intruder. “We need a better sign, for sure,” she says, pointing to a primitively spray-painted sign inside the entrance, directing residents to empty bags rather than dumping them intact. Next to it are items someone's picked from the compost – a spent bottle of weed killer, a few beer bottles, a whole trashcan full of empty plastic bags. DERRY – Today is judgment day for the five lead candidates for the job of Town Administrator. Selected from a pool of 121 applicants from around the country, five – all men – will be interviewed by three panels in a daylong process that involves residents, town employees and managers. Tomorrow, the town council will have their chance to ask the tough questions during an 8:30 a.m. non-public special meeting. After sifting through the pile of resumes, Municipal Resources Inc. of Meredith whittled down the candidates based on qualifications and essay responses before presenting its top picks. Although the names remain confidential at this stage of the process, some information is known – all five are male, four of the five are from New England; one is from the Midwest. 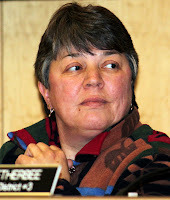 Two of the five are currently employed in southern New Hampshire communities, and all of them believe they are the right fit for a town that has had more than its fair share of administrators – 18 town administrators, three mayors and six interim administrators. The town sought volunteers for the interview panels. Originally there were to be 10 members of the citizens panel, but because only 11 applied, all 11 were seated. They are: Craig Bulkley, Betsy Burtis, Paul Dionne, Mark Grabowski, Christina Hitchcock, Andrew Manuse, David McPherson, Doug Newell, John O’Connor, Frank Santiago and Erich Whitney. The nine employee panel members are: Larry Budreau, HR; Frank Childs, Finance; Joanie Cornetta, Transfer Station; Mike Gagnon, Fire; Chuck Hemeon, EMS; Janice Mobsby, Finance; Elizabeth Robidoux, Planning; Vern Thomas, Police; and Mike Willinsky, Fire. Town Administrator Gary Stenhouse said the interview sessions will be moderated by a senior executive from MRI, and participants will rate the candidates based on their answers and the content of essay questions submitted. Those results will be weighed by the town council as the final decision is made. “I suspect the process will take until sometime in September to resolve,” said Stenhouse. Between coming to a decision, negotiations and allowing time for the new hire to give notice to his current employer, the current thinking is that Stenhouse will stay on through the beginning of October. Each candidate submitted answers to essay questions asking them to discuss their management philosophy and leadership style; how they'd move forward to balance the budget while responding to town needs; and how they would handle rhetoric and personal attacks, while keeping political debate on track and civil. Phil Abirached, right, and wife Rita manage the Metro Market on Route 28. DERRY – Philip Abirached wants to see the future. He wants to know that his livelihood as a businessman in this town is not endangered by lack of a blueprint for economic development. Yes, talk of the town these days is all about economic development. Progress has been made in the TIF district, with Wal-Mart waiting in the wings. Downtown looks more vital each day, with a new anchor pub, a weekly farmer's market and rumblings about enhanced parking options. But Abirached wants to know that he and others, struggling to survive along the town's southernmost corridor, are not forgotten. Since 2008, several businesses along Route 28 have folded, including two long-time tenants in his plaza. He has remodeled one empty storefront as a beer and wine outlet attached to the convenience store. The other, rented by the same hair salon for 20 years, remains vacant. “I've had a sign up for almost 18 months. I've offered it for half-price rent. You can see the big sign out front that says, 'space for rent.' Not even a nibble,” said Abirached, who runs the plaza with his wife, Rita. Another factor is northbound traffic into Derry has slowed more than ever, now that a crack down on counterfeiters has driven the flea market's knock-off designer bag vendors elsewhere. Abirached said ridding the market of counterfeiters is good, but now what? Will there be any marketing efforts to breath new life into the old flea market and repair its reputation, from “flea bag” central to something else, like a mecca for homegrown goods worth driving to Derry for? “The police are complaining about traffic. Isn't that what we want? More people coming into Derry? Look at the downtown, at all the empty store fronts. Each one of those could employ two or three people, which feeds two or three families. I understand why they are making that a priority. Downtown is the face of Derry. But what about us? We are the arms and legs that get you to the downtown,” Abirached said. He would like to propose that business owners along that stretch, beginning around the Frost Farm and heading south, come together with the town to talk about the future. “The potential for growth here is incredible. The downtown is restricted, but here we have empty land ready to be developed,” Abirached said. He pulls out his tax bill to illustrate another issue related to development. Since 2007 his tax bill has jumped $9,000, from $21,000 to $30,000. “Know what? 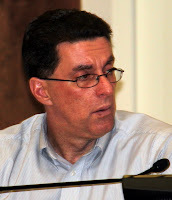 I'm willing to pay $40,000 if the town of Derry has a plan to put in the infrastructure needed to bring in some major businesses,” said Abirached. Talk about bringing public water and sewer to that stretch of town always comes back to cost – it is a state-owned road, so it would involve widening. And because of the hilly terrain, it would be a major engineering undertaking, beyond what the town can afford without creating another TIF district. Everyone agrees that doing so would likely be the key to attracting more – and significant – businesses, including hotels or larger restaurants. But no one agrees on how to make it happen – or how much of a priority it is for the town. “If we keep increasing taxes without services, we're choking the businesses. What I'm against is high increases in my taxes without reinvestment from the town. And I'm not the only one who feels this way,” said Abirached. Councilor Joel Olbricht was appointed last week to head up a “big tent” task force – like a SWAT team for economic development. He has floated the idea of considering reestablishing a full-time economic development position, currently a contract position held by the Arnett Group hired to promote the TIF and boost the downtown. Hitting achievable short-range targets while aiming toward longer-range goals is what the task force will shoot for, said Olbricht. “Maybe the only problem we have right now is with commercial real estate being down so low, that it may not be a proper time to develop over there. But having a plan is important, so that if a business wanted to be a big customer, we could get going on a plan,” Olbricht said. Council Chair Brad Benson said community members including Abirached should consider raising their hand for the task force, which is still forming. The above rendering by UK Architects of Hanover is one of several unveiled recently to the Downtown Committee showing what could be done with a parcel of town-owned property that is currently a decrepit, underused parking lot. The row of red buildings could be retail space or a conference hotel. The tree-lined structure to the right is a two-story parking garage the size of a football field, and the roof could actually be used as a recreational field or skate park. The town’s existing bike path runs to the left of the red buildings and connects at the far end with the town’s Little League field. Other configurations included a possible gym/fitness center or space for a grocer or cafe, and vendor booths along the bike path to house the newly launched farmers market. DERRY – Maybe it's true, that you can't always get what you want. But as disciples of Oprah will tell you, “the law of attraction” and making your own destiny begin with having a clear and concrete vision, preferably on paper. 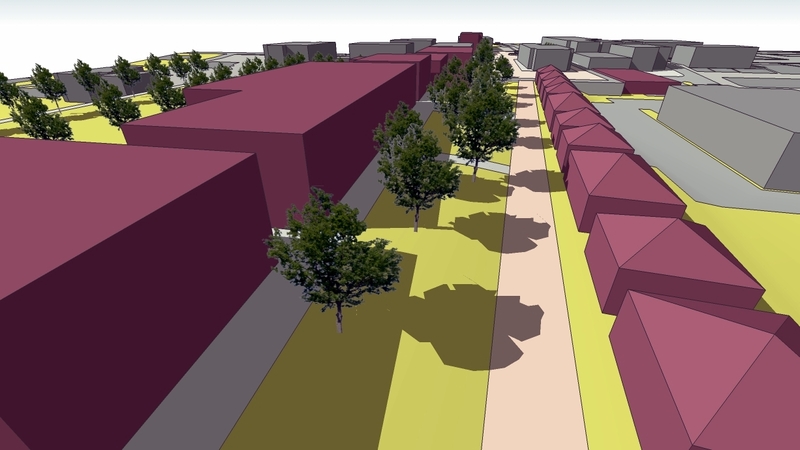 So when Stu Arnett presented a series of renderings depicting how a parcel of town land might look if it were developed as a hub of activity and parking, everyone knew it was more of a vision quest than a blueprint. Still, the idea of a two-story parking garage with a green roof that doubles as an athletic field backing up to a three-story hotel with a conference center, gym, cafe, whole foods grocer and high-tech office complex, all spilling out to the existing Rail Trail bike path, scattered with vendor booths for the downtown farmer's market faithful and coinciding with a pedestrian walkway that leads directly to the Little League Field, is hard not to get excited about. Currently Abbott Court is a parking area just off West Broadway that is rarely used except for spillover from the Halligan Tavern or nearby apartments. Over time, police have patrolled the area after reports of teens “partying” in the corners of the weedy lot. A steep stairway leads up from the lot to the bike path, creating enough of a slope that architects were able make creative use of the space. If the right customer came along – perhaps a hotel chain – looking for some downtown real estate, it's a visionary map that could certainly become reality, said Stu Arnett, who is contracted by the town to work on economic development projects. “We've already started to look for grant sources. In that case, we'd need to get some help from the town to get it moving. The town would be responsible for roads and walkways and the private side would take care of the building,” said Arnett. Arnett conceded that every ambitious project begins with a vision, but he stressed that the purpose of the renderings is to see something actually come of it. Graham will act as liaison to the Economic Development Task Force, still assembling members, which the council last week approved as a way to bring together various committees and boards already involved in other projects. The idea is to create a “big tent” committee that will work toward particular unified goals. Development of Abbot Court could be one of them. Council Chair Brad Benson, who is a liaison to the Downtown Committee, said he was impressed with the ideas presented by Arnett. 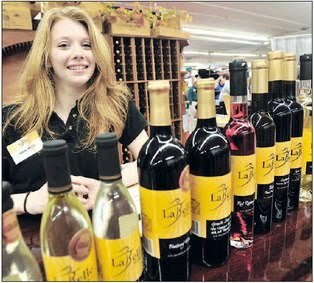 LaBelle Winery employee Ginny Miller promoting local wines at the' Big E' in March. DERRY – A local boutique winery will join the fleet of local farm and vendor stands at Derry's downtown farmer's market today. LaBelle Winery of Amherst has signed on to be a regular vendor at the fledgling market, which will now boasts 19 booths selling local fresh produce, handmade goods and locally manufactured products. The award-winning winery, which produces about 3,500 bottles annually of 21 varieties, earned recognition at the 2010 Eastern States Expo, known as the Big E, taking home 14 medals, as well as earning four medals at the Finger Lakes International Wine Competition in New York. Specializing in Riesling, Gewurztraminer and Seyval Blanc using grapes from the Finger Lakes region, owner Amy LaBelle said she takes most pride in crafting wines made exclusively from fruit grown locally in New Hampshire. Having a venue like the downtown market is ideal. “We were looking for a good Wednesday night market to join, and this will be one of the best spots for us to focus our energies on,” said LaBelle. Strategically, Derry provides a strong connection to new customers who might not otherwise know they exist. “Farm markets in summer are such a vibrant place – the sun is shining, the people are upbeat. We have a chance to let people know they don't have to go to Napa to get good quality wine,” LaBelle said. “We're coming in with full guns blazing, probably bringing our top 15 varieties so people will get a good flavor for what we do,” LaBelle said. To sweeten the deal, she will be offering a Vintage Rewards Card to farm market customers who will get a $10 discount after a dozen purchases. “In this economy, people can't afford to buy wine by the case, which usually sells at a 10 percent discount, so it's just one more way we're looking to get customers to try us out,” LaBelle said. DERRY – A medical training college is on track to open its doors in a downtown office building by the first of the year, partnering with Parkland Medical Center which will provide internships for surgical assistants. The New England Institute of Medical Technology is moving full steam ahead, said the school's founder Jack Roche, principal of Human Resources Dept. of New England. The school will launch in the offices at 6 West Broadway, offering a Surgical Technology Certificate Program training students to work alongside surgeons in the operating room. Internships at Parkland Medical Center will be built into the program. The official announcement was made during last week's Downtown Committee meeting, after Roche submitted an update read to the group by committee chair Gordon Graham. Committee member Michael Gendron said it is an exciting prospect for the town as it moves forward in its mission to revitalize the downtown area and bring new and exciting businesses to Derry. “This has been a dream for Jack Roche for quite a while. It's something he has wanted to do, and in the past, wasn't able to get going. We're happy we were able to support his efforts. He really made it happen. We just provided some help along the way,” Gendron said. Maximum enrollment will be 24 students – 12 day students and 12 night students. The day program will take 1 year to complete, and the night program will take 16 months. A link to the school's temporary website can be found at Roche's business site, www.got-hr.com. Students completing the program will be prepared to sit for the National Board of Surgical Technology and Surgical Assisting (NBSTSA) national certification exam and will receive the designation of Certified Surgical Technologist (CST). Certification requires mastery in 14 courses. Tuition cost has not been announced, but scholarships will be available. NEIMT has applied for 501(c)3 tax-exempt status, and will seek grants to cover operational costs, with the goal of being ready for students as of January 1, 2011. The nine-member board of trustees includes several local residents and business leaders, including Joseph Suozzo, owner of Suozzo Allstate Insurance Agency in Derry; Derry resident Larry Muzerall, director of business development for Sedona International of Nashua; Derry resident Mike Gallagher, Senior VP of Enterprise Bank; Phil Szalowski, owner of Broadway Chiropractic; and Jona Bostwick, who works for the VA Medical Center in Manchester. A Parkland senior administrator and surgeon, to be named, will also join the board. DERRY – Construction to widen a stretch of Route 28 originally scheduled for this summer has been pushed back for lack of a land deal with the owner of Pinkerton Tavern. To date, more than half of the 15 property owners affected by the widening have failed to sign offers made by the town, most significantly Pinkerton owner Arnold Goldstein, said Town Administrator Gary Stenhouse. Complicating the deal is the fate of the tavern business run by Guy Streitberger and Jen Lutzen. Negotiations include the town's role in helping the business continue even after a land deal is struck, whether it means buying the old building and moving it some place else, or securing a new building in a different location. The other hold-up is a wetlands permit, which took more time than anticipated to apply for, said Stenhouse. “The Pinkerton Tavern poses a complicated issue. When we realized that we didn't have all the land acquisitions in place, and that the wetlands permit was going to take more time to prepare for, we notified the tavern business owners that we would not be looking to begin construction until after January 1,” Stenhouse said. Until all 15 properties are acquired, the project can't go out to bid. Councilor Kevin Coyle expressed frustration over the delayed project at last week's council meeting. “This is a project I didn't support four years ago when it first came up, but it was approved, 5 to 2. Then it just languished for years. Finally, two years ago, it was revived, but they haven't managed to move so much as a phone pole. They're not on the ball. It's frustrating to me that this is our No. 1 priority, to get this done, but so far, no one has made getting it done a priority,” Coyle said. He said at this stage, the town should have been ready to take the property by eminent domain. “For some reason they started that process and then it just stopped. We had the right to take that property, and they didn't. The people driving the bus haven't figured out the right way to do this. It will be five years by the time they may get a shovel in the ground,” Coyle said. Stenhouse said the process of taking property by eminent domain is prescribed by state law, and there are steps that must be followed. He said that the wheels were put in motion to start that process in the fall, and are still turning. First, the question of moving ahead with land taking must go before the council one more time. “Since it's looking more and more unlikely that we will be doing work in this calendar year, we can wait. 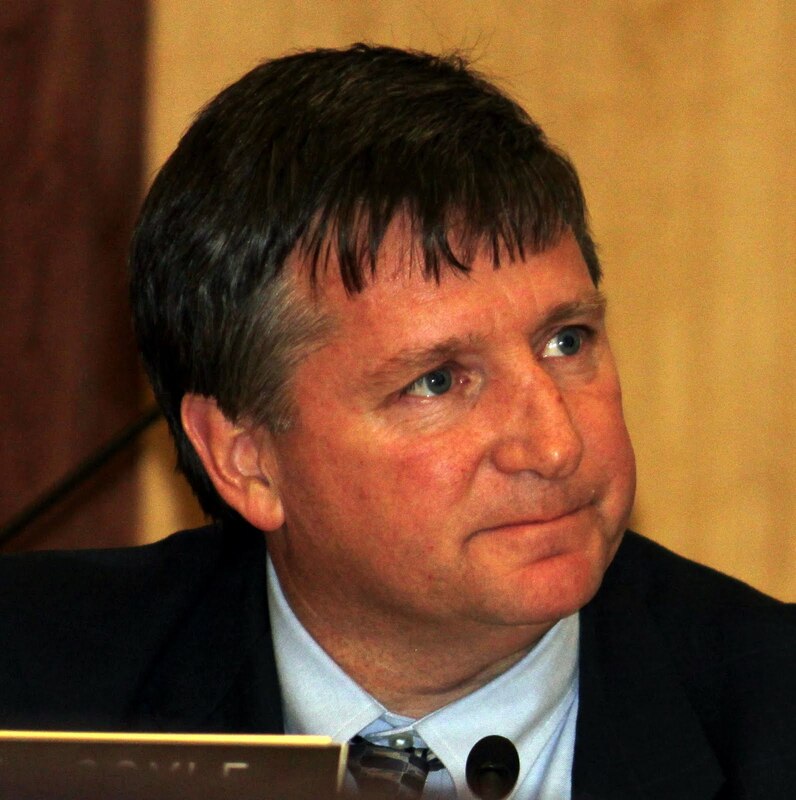 Taking the land by eminent domain is a course of last resort,” Stenhouse said. Councilor Neil Wetherbee said there should have been better communication over the progress of the land acquisitions. While Coyle's frustration is not unwarranted, Wetherbee believes with more oversight, moving forward in a timely manner is doable. “We are absolutely at the point where we need to know who is prepared to sign on the dotted line, and anyone who is not, we need to resolve that on a specific time line,” Wetherbee said. “We should have been talking about this more at every meeting, for updates, and as a council, we failed to do that. Moving forward, whether it's the new Town Administrator, or someone else, someone needs to be tasked with making sure that if we say we want a shovel in the ground by a certain date, that shovel is going in the ground – or else we have a damn good explanation as to why it isn't,” Wetherbee said. In the meantime, Stenhouse said a new appraisal of the Pinkerton Tavern will be done to assess the current value of the property. “Because such a large time has passed between the project's inception, which predates my tenure here, my assessor says property values have changed, so I have directed that another appraisal be done,” Stenhouse said. A new appraisal should be ready by the end of this week or sometime next week. Goldstein can also choose to have an independent appraisal done, for which the town by law must contribute toward. “That's his right if he so chooses,” said Stenhouse, who did not think a new appraisal would jeopardize a sale even if appraisal came in significantly lower than what the town has already offered Goldstein. However, Coyle believes a lower offer could weigh down the process further. “When he finds out his $900,000 property is now only worth half that, I think it will be a problem,” Coyle said. Attempts by the Union Leader to reach Goldstein, Streitburger and Lutzen for comment for this story were unsuccessful.